From Lens to Eye to Hand reexamines this important movement in contemporary art that found its roots in the late 1960s in California and New York and continues today. 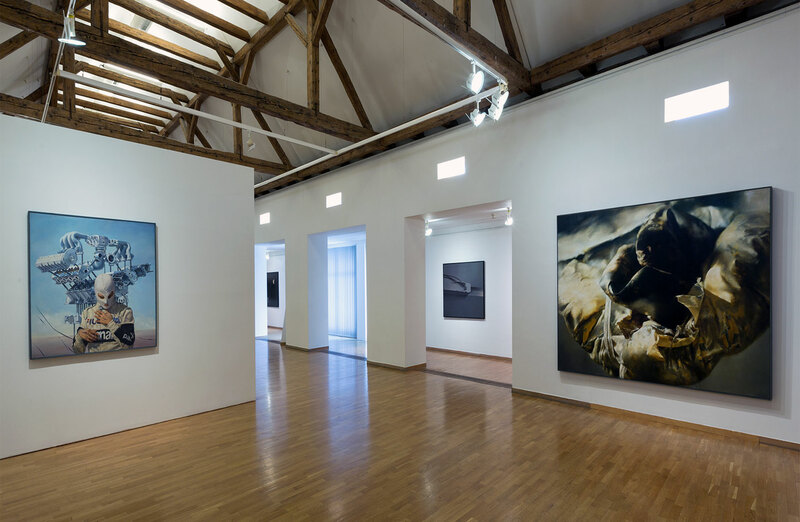 Photorealism reintroduced what many considered to be straightforward representation into an art world more attuned to the burgeoning conceptual framework of artistic practice coming out of Pop and into Minimalism, Land Art, and Performance Art. Often misunderstood and sometimes negatively criticized as being overtly tradition-al, these artists were, and are, trailblazers. Though Photorealism shares with preceding and concurrent modernist strains of art such elements as a detached perspective, flattened compositional space, and physical manifestation of a concept, it has at times been lampooned by critics as a betrayal of modernism due to its return to representation. These visual experiences range from uninflected depictions of everyday urban life in paintings such as ’71 Buick, 1972, by Robert Bechtle or Richard McLean’s eagle-eye capturing of the west in Western Tableau with Rhodesian Ridgeback (Trails West), 1993, to roiling compositions of the most mundane objects made magical through the sharpness of Audrey Flack’s dense still-life Wheel of Fortune, 1977–78 or Charles Bell’s Gumball No. 10 Sugar Daddy, 1975. Use of the camera as the foundation of painterly expression is common today, but these artists were em-barking on a new way of seeing and depicting the world and were groundbreaking in their creative process. Following the success of the 2017 exhibition ‘Hyperrealism. 50 years of painting’, the Kunsthal Rotterdam crosses over to the third dimension with the exhibition ‘Hyperrealism Sculpture’. This exhibition will show a unique selection of three-dimensional works by all important hyperrealist sculptors of the past 50 years. 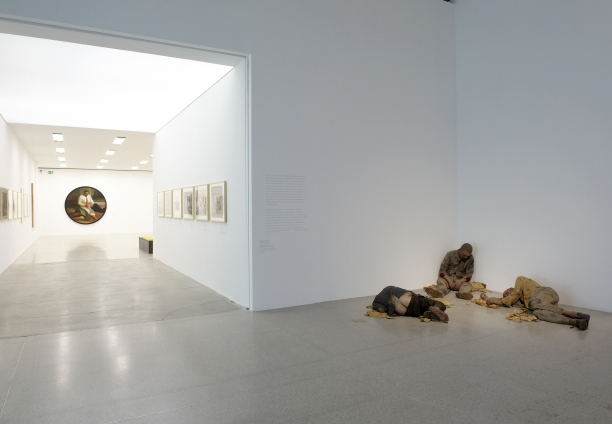 From the early American pioneers, including George Segal, Duane Hanson and John DeAndrea, to the rise of the international movement, represented by Juan Muñoz (Spain), Maurizio Cattelan (Italy), Berlinde de Bruyckere (Belgium) and Ron Mueck, Sam Jinks and Patricia Piccinini (Australia). With 35 artworks by 28 artists, the Kunsthal will present - for the first time in the Netherlands - an overview of the worldwide developments in hyperrealist sculpture over the past fifty years. In the 1960s and 1970s a number of sculptors, each from their own perspective, became interested in a type of figurative art based on representations of the human figure that were as vivid and lifelike as possible. 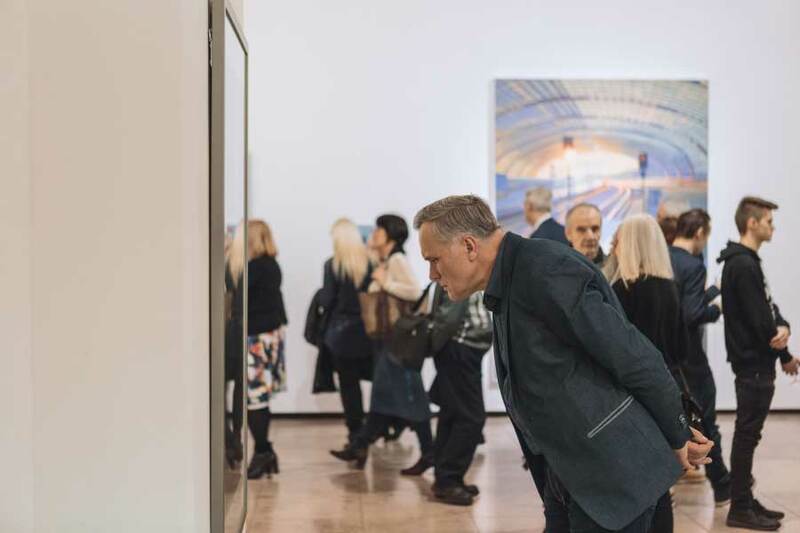 Standing face to face with these works provokes a reaction from the visitors, raising questions about the extent to which human beings can be manipulated and about identity in general. How do we see ourselves and others? – An interesting topic in the light of the current selfie culture on social media. With its roots in the 1960s and with the support of Euro-American visual traditions, hyperrealism is known as a revolutionary; upholding the bastions of perfectly mimetic, radically realistic painting. It is one of the few truly irritating elements in the current world of art. It is directly connected to the revolt against the progressive artistic tendencies of the period; on one side against the neo-avant-garde variants of minimalism, abstract expressionism, conceptualism and installation art, on the other side against more or less engaged realism. The exhibition in Olomouc is undoubtedly an exhibition of pictures. Like hyperrealism itself, the exhibition has a broad cultural and historical span, with the imaginary border being the year 1989; nevertheless, it has a very narrow focus - on the authors who reflected or still reflect on both hyperrealism of form (means) and content (themes). What makes the first generation - as represented by Zdeněk Beran, Bedřich Dlouhý, Pavel Nešleha and Theodor Pištěk - different from those that followed (Zdeněk Daněk, Pavel Holas, Adam Kašpar, Adolf Lachman, Hynek Martinec, Jan Mikulka, Michal Ožibko, Zdeněk Trs, Pavel Vašíček, Vladimír Véla ad. ), is not only their historical experience, but also their different relationship to the image, which can be considered as a certain leitmotif. Beside questions concerning its nature and functionality, it also evokes more intuitive questions: What are pictures actually for? What is the source of their value? What is their relationship to reality? As part of the publication of the book was created mobile application Czech hyperrealistic paintings, which is free to download for mobile devices, accompanying and distributing a selection of works and authors selected for the exhibition of Czech hyperrealistic painting called Fascination with reality. 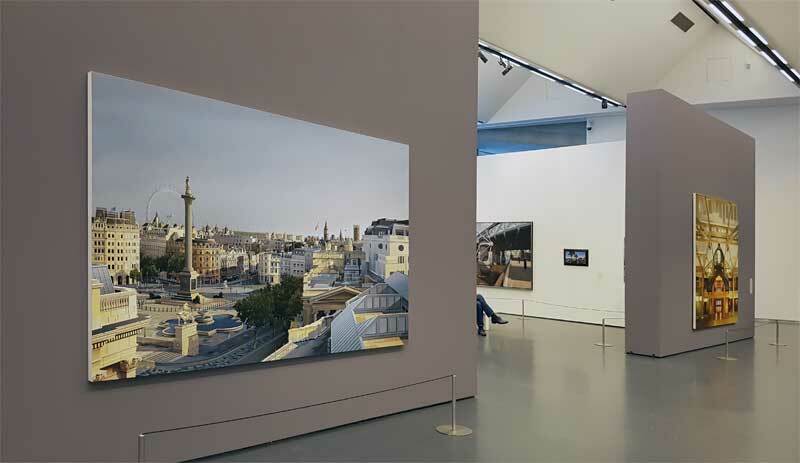 The overview of almost 50 years of hyperrealism illustrates not only how the subject choice has changed, but also how the technology with which photorealists produce their work has changed: they first transformed images from celluloid into oil paint, and nowadays from digital pixels to acrylic paint. 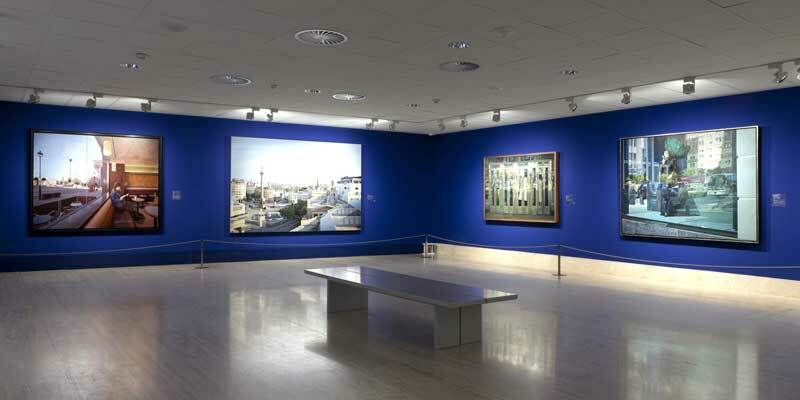 The sharpness of the paintings has further increased in tandem with the resolution of the photographs. It is interesting to note that the photorealistic paintings ‘force’ viewers, as it were, to take a really good look at them. The abundance of images with which we are surrounded these days means that we don’t always take the time to observe properly, and the digitisation of photography also gives rise to the question of what is real and what has been manipulated. The paintings in the exhibition ‘Hyperrealism’ go just that bit further. On display in the Museum's BBK Gallery, Hyperrealist Sculpture 1973-2016 presents a selection of 34 works by the 26 artists most representative of this movement. This is the first exhibition that aims to offer an in-depth survey of human figuration spanning the more than fifty years of hyperrealism's existence. In the 1960s and 1970s a number of sculptors began to be interested in a form of realism based on a vivid and lifelike representation of the human figure. Employing traditional techniques such as modelling, casting and painting, they reproduced the body using a range of different focuses but with the shared aim of formulating a clearly contemporary interpretation of figurative realism. In the words of Ron Mueck: "Although I spend a lot of time on the surface, it's the life inside I want to capture." This exhibition presents five different ways of approaching the depiction of the body through the five sections into which it is organised: "Human replicas"; "Monochrome sculptures"; "Body parts"; "Playing with size"; and "Deformed realities". As a result, and through a series of works that will surprise viewers with their convincing appearance of reality, the exhibition reveals the numerous and varied ways in which this artistic theme has been depicted, its relationship with different trends in art history, and its technical evolution from the early years of the movement to the present digital era. At the end of the 1960s in the USA a group of painters stepped out of the shadows of Abstract Expressionism and turned towards the tradition of painterly realism but, however, in doing so they also exaggerated the illusionism that had been handed down from the 1920s and 1930s. These painters often used the photographic image as a verbatim model but could ‘correct’ the photographs as Chuck Close did in his portraits by placing different photos next to each other in order to give each segment of the picture its own focal point and, in a complex work process, turning photography into painting. Starting from the MUMOK’s extensive collection of 40 works, the exhibition placed the museum’s own holdings in a context of realisms and investigated the concepts behind a painting genre that is determined by the subject matter of the city, streets, automobiles and the American way of life. 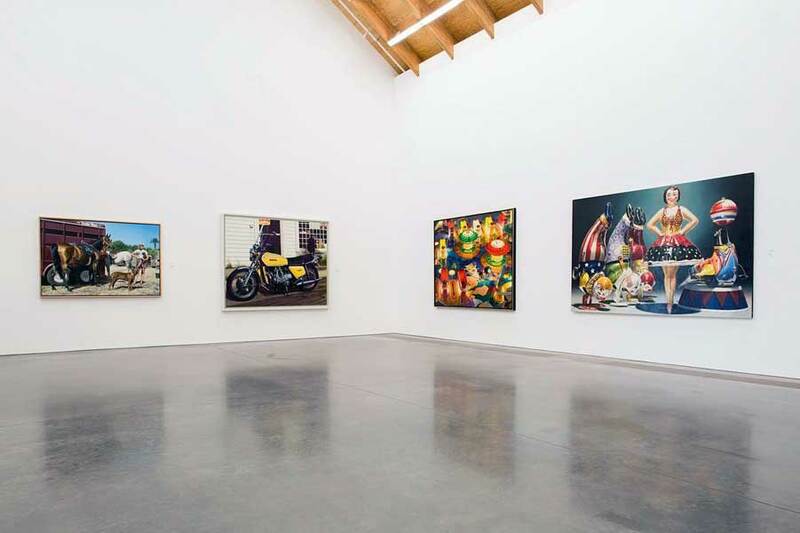 Time and again the Photorealists emphasised the importance of Pop Art some of which is shown at the start of the exhibition before the presentation of the main protagonists such as Richard Estes, Ralph Goings or Don Eddy.